GenQ is taking over Rec Room! Are you an LGBTQ or Allied person 18-25 years of age? Are you looking for a community of like-minded folks? 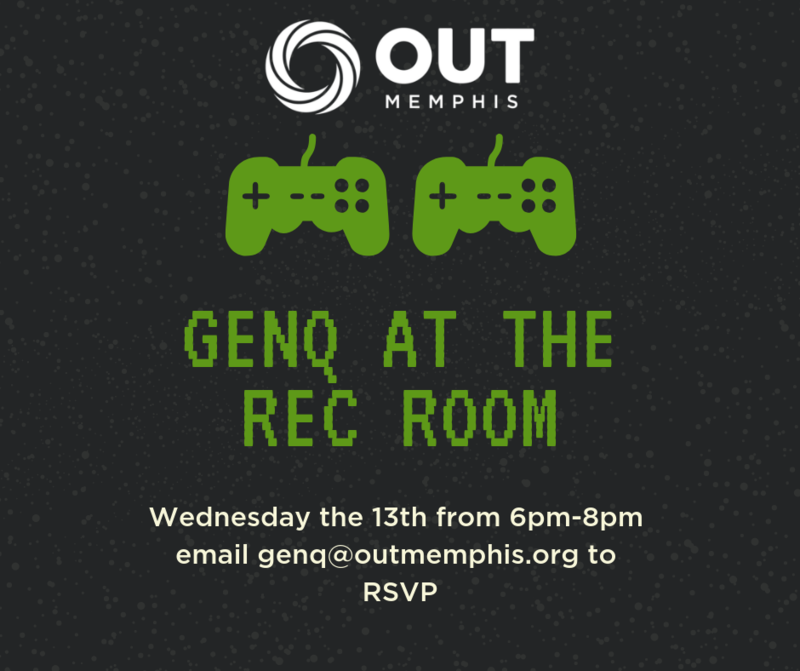 Join us as GenQ takes over Rec Room from 6:00p-8:00p on Wednesday, February 13th. We will be socializing, playing games, eating great food, and generally having fun and fellowship! For more information, visit our GenQ webpage, or email us to RSVP for this event. NOTE: We will be meeting directly at Rec Room, not at OUTMemphis. Individuals are responsible for transportation to and from the venue.